One of the most respected and influential artist/dj's of India, from Goa to be exact is a modern day, forward thinking superstar performer; fresh for all seasons...Meet Dj AJIT PAI !! On the threshold of nearing two decades, he is going strong filling up dance floors with much might in the present day. The self made musical man is a one stop champion, electrifying clubbers with popular chart busting bass-lines to thumping out, his first love House music with equal enthusiasm, as ever. A revolutionary figure, in the dance scene of Goa from back in the day, he paved the way as a professional music mixer unheard of in those days, first! Transforming club land Goa, Ajit has been instrumental in building the musical foundation, it enjoys in these contemporary times. Equipped with a keen ear, early influences came from listening to Dj giants like Boy George, Pete Tong and label releases from Ministry of Sound, Gatecrasher and there was no looking back. Ajit's musical heart was sealed forever to web tunes together for a dancing audience. A cool start in a club by the name of Lido's back in the 90's, moving on there-after to giving his career a massive professional boost by joining hands with the much talked about Tito's, stamped his authority in the music horizon of Goa. Ajit has led the way with residencies in local hot-spots Café Mambo, Tito's and Cape Town Cafe that's still going gold. Revving up and stoking a colorful spin of various genres of music, he is unstoppable. He is a House music specialist to boot, sharing console space with many international Djs like David Guetta, Dimitri Veigas & Like Mike, Marco V, Sultan & Ned Shepard, Danny Rampling to Richard Durand, Yves V, Albin Myers, Funkagenda to name a few. Ajit also secured high profile guest dj gigs for renowned singing sensations such as Nadia Ali, Shaggy, Alexandra Stan, Diana King and Apache Indian. Matching steps with our Indian counterparts Shankar Mahadevan to Shaan with some more crackling accomplishments. Ajit has also left an imprint musically with Djing for esteemed companies like IPL, Vh1, Mtv, Channel V, Radio Indigo, Radio Mirchi, BIG FM and many more. Apart from raising the roof at nearly every club and festival in Goa, he is all guns blazing with club appearances in India at ultra cool venues like Royalty, City Bar, China House, F-Bar, Fuga, 1 Lounge, Bottles & Chimneys and so on, along-side international guest dj shows at The Club, The Bed & Ice Bar, Q Bar & Fusion in Thailand. Ajit has burnt the sands at Asia's biggest dance music festival Sunburn Goa for six years in a row, an unbeatable feat. 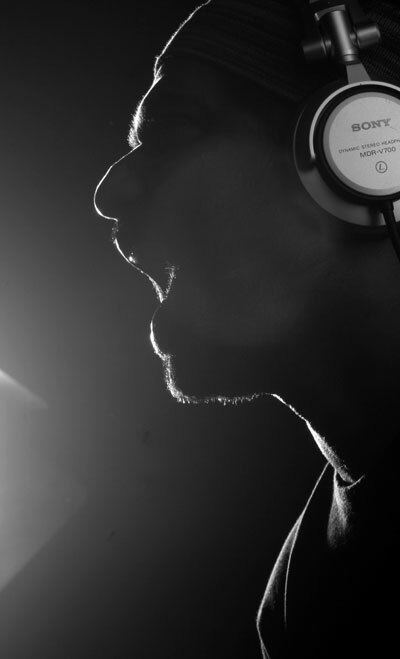 He has also been featured in numerous other reputed EDM festivals in India, like Sound Awake, Submerge Supernova, Oktoberfest Goa, Mud Rush Pune to name a few. Passion for the art stands tall, the future being chicly digital. He is poised to entertain everyone with a massive Singles release this party season. He aims at production and studio time to sweep the club frontier with his hottest achievement yet. Domain Registration in India by Warrenasia © 2001 - 2019. Code and structure rights reserved.